Decorating the pizzas is one of my favorite cooking activities. The possibilities for toppings are endless! This is a great dinner ideas for couples, kids, friends, dinner parties, or anyone who wants to turn their food into art and get creative! 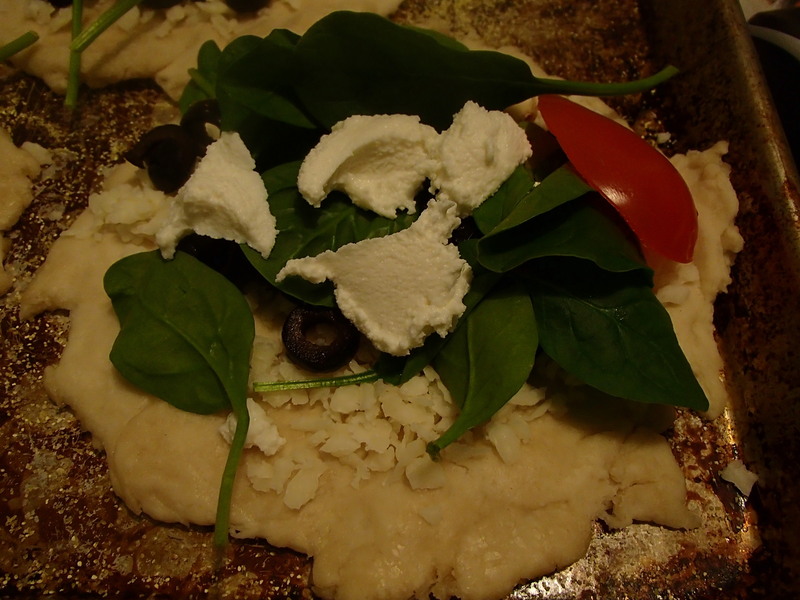 Here’s a basic pizza dough recipe and some ideas for a fun night of Make-Your-Own Mini Pizzas! 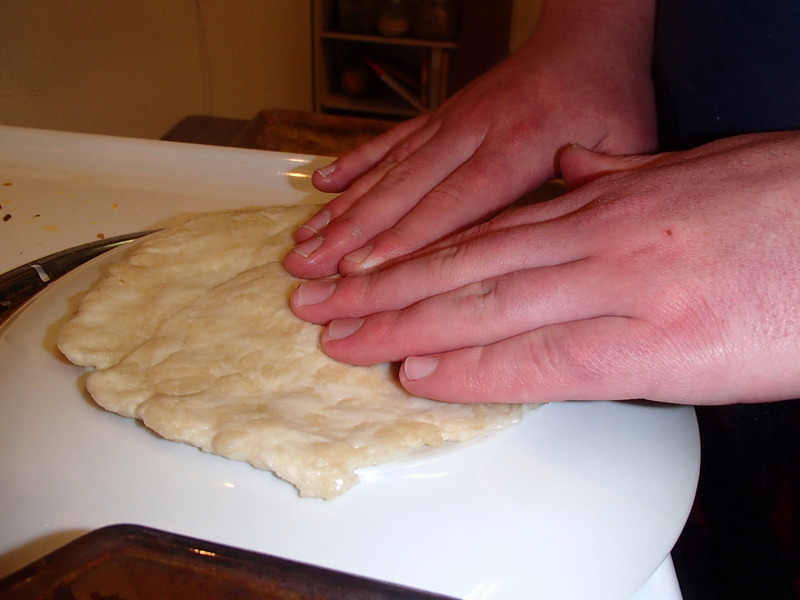 First you’ll have to make the dough and let it rise. In a small separate bowl, mix the warm water with the sugar and the yeast and whisk it around. Let it stand on the counter for 10 minutes and it will begin to get bubbly. Mix the yeast mixture and the flour mixture together and form a soft dough ball. Let it sit in a warm place covered with a clean cloth for about an hour until it rises. 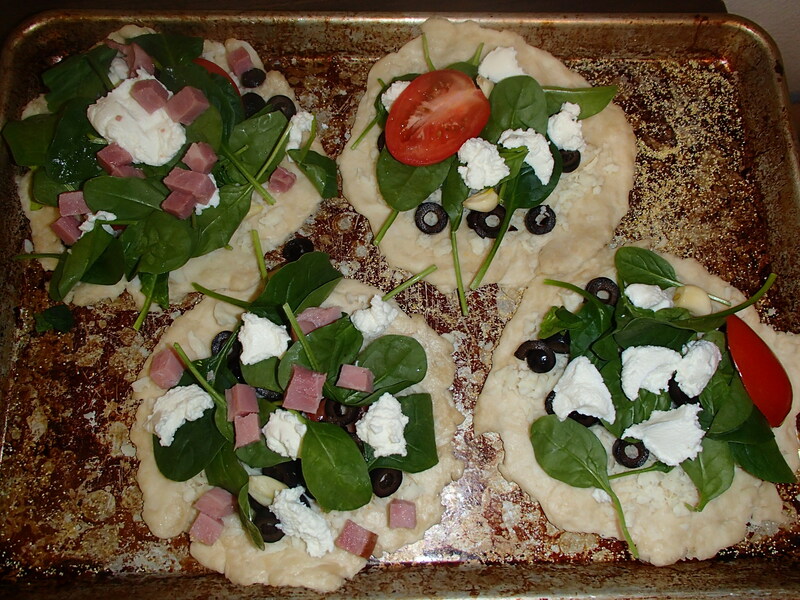 Use your imagination and top your mini pizzas with whatever you like! 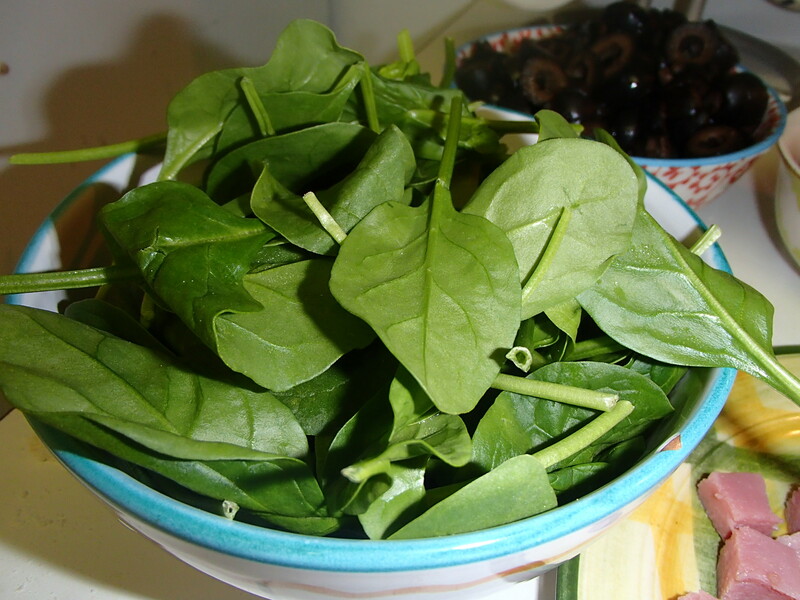 Some ideas: olives, spinach, ricotta cheese, garlic cloves, tomatoes, arugula, pepperoni, salami, ham, artichoke hearts, cilantro, chicken, bacon, ranch dressing, olive oil, chili flakes, Parmesan cheese, mozzarella. Heat your oven to 450 degrees and place the mini pizzas in for 12-15 minutes, until golden brown. It’s one of my favorites too! French bread sounds amazing, I’ll have to try it!